The Poseidon Foundation (Poseidon) has received its first €2.1 million contribution (ahead of its public fundraiser in May 2018). 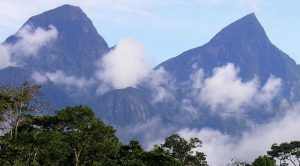 80% of this particular contribution will go to protect 55 million trees in the Cordillera Azul National Park in Peru in an area double the size of Andorra. Supporting over 500 local people, it represents the first investment made by Poseidon into Ecosphere+’s conservation projects. Poseidon is a non-profit that uses blockchain technology to empower individuals to rebalance the carbon footprint of their lifestyle choices through supporting sustainable development projects. Poseidon is a blockchain initiative that makes it possible for retailers to embed carbon credits into their products at the point of sale. This enables everyday purchases to drive a positive impact on the planet’s climate by channeling funding to sustainable development projects. The objective is to apply technology to drive behavioral change by empowering retailers to transform their customers’ engagement with their carbon footprint. 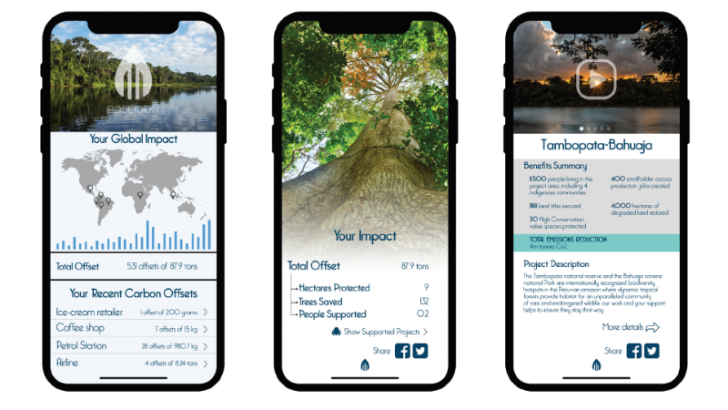 Rather than making occasional donations, consumers will constantly connect to carbon positive projects and be able to choose to ‘rebalance’ their impact with every transaction. 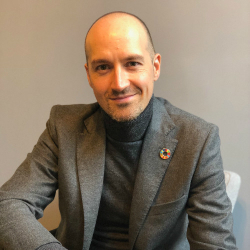 Poseidon will connect retailers to the carbon market, currently valued by the World Bank at just under $10 billion USD. The hope is this will create demand and unlock considerable carbon market growth. The carbon credits will all be sourced from forest protection projects associated with Ecosphere+, part of the impact investment Althelia Climate Fund. The Cordillera Azul National Park sits at the intersection of the Andes mountain range and the Amazon basin. It is home to around 6,000 plant species, 11 of the world’s most endangered large mammals and numerous indigenous populations. Poseidon chose Stellar as its blockchain partner because it believes this is the only platform which offers scalability in line with Poseidon’s values. 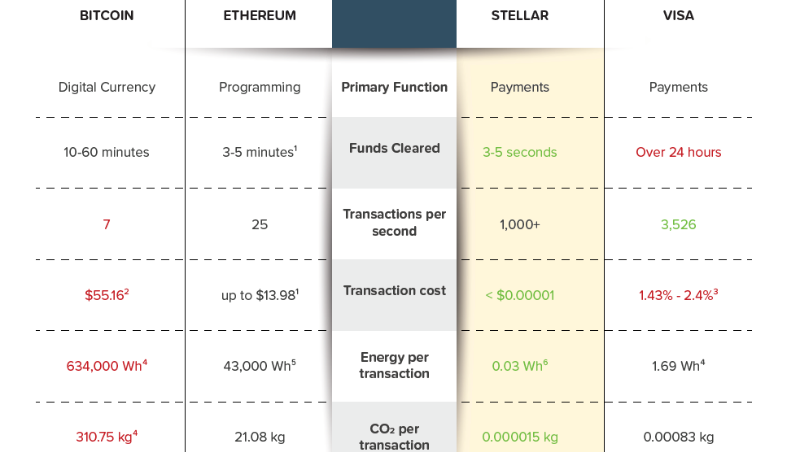 Compared to the vast majority of other blockchain platforms, Stellar created an architecture that uses far less electricity and offers significant environmental advantages. This is crucial for Poseidon: it could not bill Poseidon as part of a climate change solution if its blockchain platform was an excessive carbon emissions contributor. only a fraction of the electricity for a VISA transaction. Stellar provides integration points which permit interactions between what Poseidon calls on-chain smart contracts. These sit on the Stellar blockchain. Posidon then hosts off-chain smart contracts on a secure infrastructure. The main interaction with Stellar’s blockchain is through a RESTful API called Horizon. With this, Poseidon can build hundreds of variations of software to sit outside the blockchain. These will perform the complex tasks to satisfy global carbon market requirements. The outcome of these operations, the available amount of carbon credit in a specific emission reduction project for example, then publishes to the on-chain smart contracts via a HTTPS request to the Horizon API. Poseidon believes the protocol is fast and scalable, and will provide it with a future-proof environment that will ensure its systems will be able to grow and scale while remaining environmentally friendly. 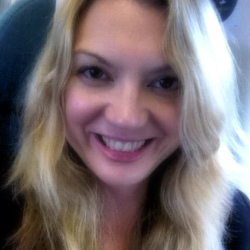 Ecosphere+ is part of the impact investor Mirova Althelia. Ecosphere+ tackles climate stress and promotes sustainable economic development through a portfolio of projects to protect forests around the world. These absorb carbon and reduce the levels of emissions in the atmosphere. The mission is to grow the global demand for carbon reduction, creating an incentive to prevent the destruction of critical ecological systems. Ecosphere+ partners with investors, businesses and individual consumers to make natural solutions to climate change accessible, including through the advancement of climate-positive ‘products with purpose’. bringing training and new jobs in sustainable agriculture and ecotourism to local communities. Enterprise Times has discussed blockchain and energy (q.v. SolarCoin, Energo+Qtum, NEMoGrid). This Poseidon initiative brings blockchain and energy into direct contact with consumers, enabling them to make choices. It could be a major step forward for consumer-carbon participation. NB. As part of this initiative Poseidon is creating a mobile app to display purchase details, carbon footprints and (most importantly) the specific carbon credits acquired.